The 2nd Posterfest in Budapest, Hungary just announced the posters accepted for this year's show. 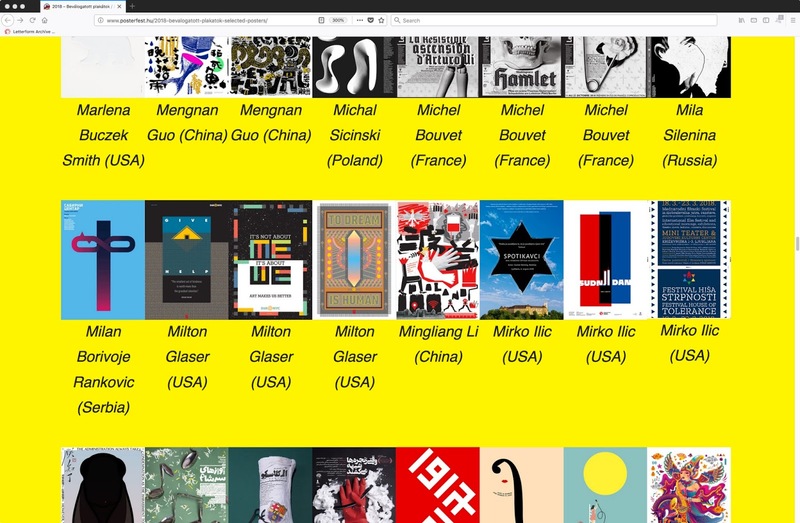 I am quite pleased that three of my posters were accepted, but I am even more pleased that I see (although purely alphabetical) my posters are almost touching shoulders with my friend Milton Glaser! On top of that, a couple of posters created for my Tolerance Poster Show also made the competition. Thank you to Posterfest for choosing to display my work. Mirko Ilić Corp. is a New York based multi-disciplinary studio specializing in graphic design, 3D animation, motion picture titles, and illustration.